Crossing the Brook cross stitch pattern... 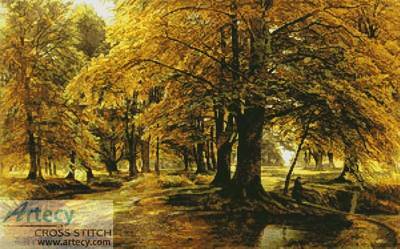 This counted cross stitch pattern of an Autumn landscape was created from a painting by Edmund George Warren. Original image copyright of www.artrenewal.org. Only full cross stitches are used in this pattern.